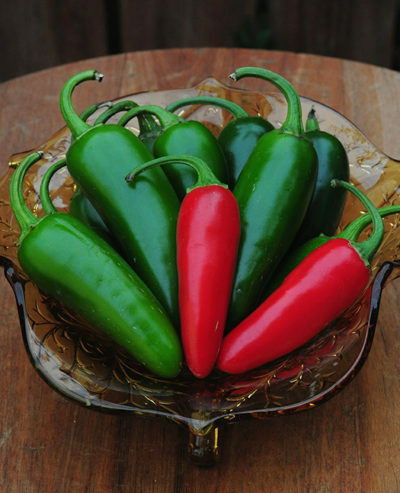 75 Days | The “Italian Frying Pepper” is a richly flavored pepper with less water is perfect for sautéing or frying. 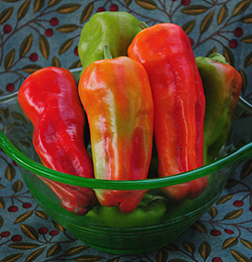 Sweet tender peppers with a thin skin, 2” – 2 1/2” x 5” – 6” long. Yellow green, but will change to orange and red if left to mature. Also known as the Cuban pepper. 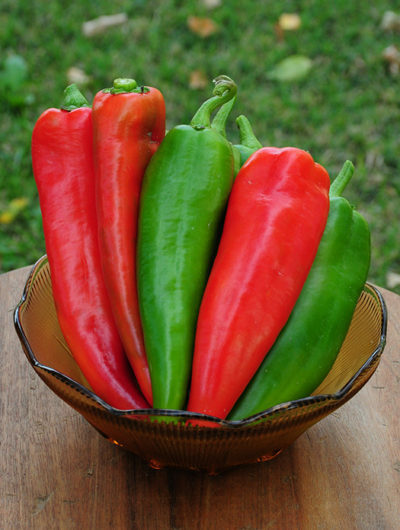 A sweet, long tapered pepper that is perfect for frying and roasting. This heirloom pepper has thinner walls and less moisture than bell peppers. It is best picked when yellow green but will ripen to an orange-red color. Pkt. – Free Ship, 1/4 Oz. – Free Ship, 1 Oz. – Free Ship, 1/4 Lb. – Free Ship, 1/2 Lb. – Free Ship, 1 Lb., 5 Lbs., 25 Lbs.